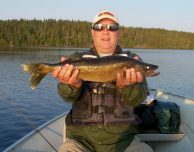 You can’t sell September fishing short! 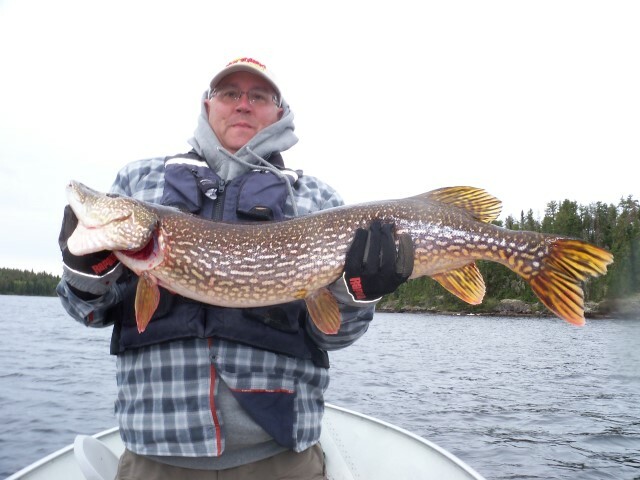 In the fall, the water is cool and Northern Pike are bulking up for winter. Kevin McCoy caught a 40 ¼” Northern out at Onepine – look at that beast! 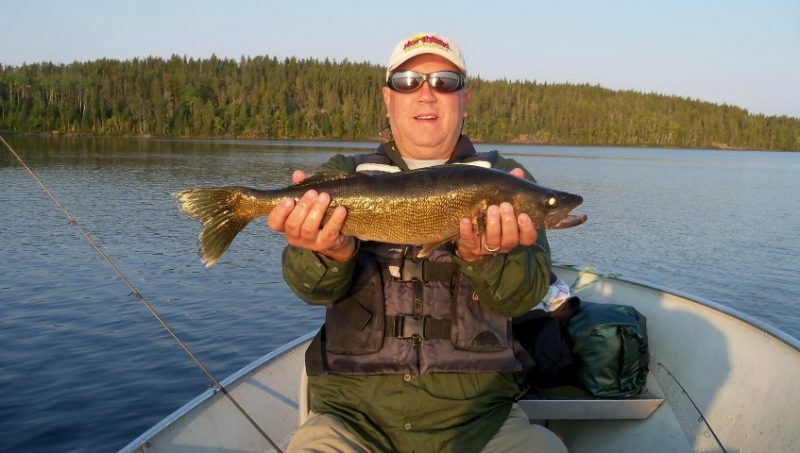 He also got a real decent Walleye that measured 23 ½”. Onepine is so secluded, you’re a part of the wilderness. 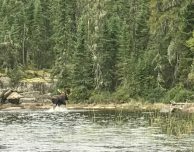 Kevin and his group got to see a trophy bull moose, and sent us the best photo they took from the boat. 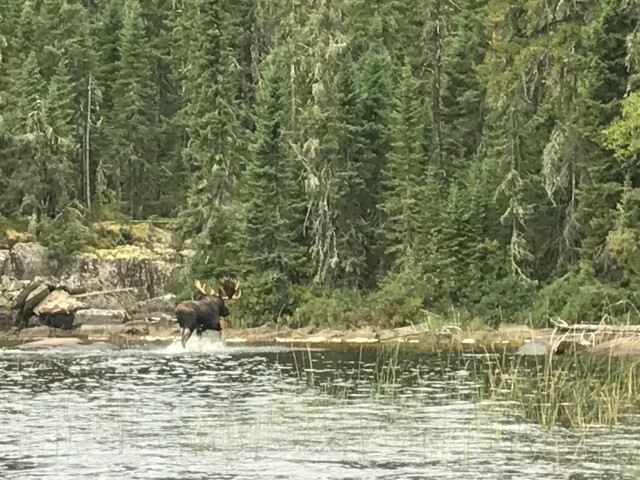 You don’t want to get too close but they are majestic creatures!